Great outdoors! 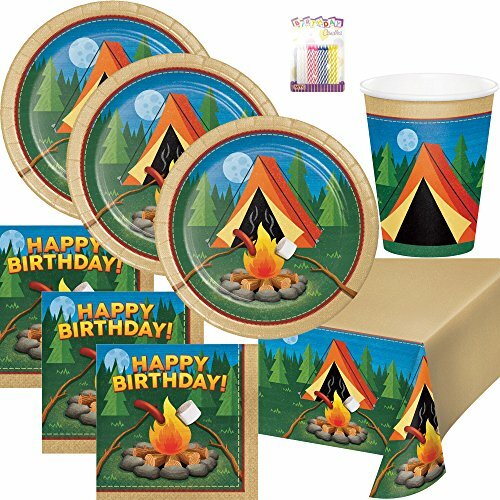 Our new camp Out Party collection takes outside with colorful camping themes that sure to have your craving s'mores! These great party supplies are perfect for your celebration! Your special guest would love to eat their favorite dishes on these stylish well crafted party plates paired with theme specific table napkins and cups. What are you waiting for? Purchase this tableware bundle and organize you unforgettable party! If you have any questions about this product by Lobyn Value Packs, contact us by completing and submitting the form below. If you are looking for a specif part number, please include it with your message.